We’ve updated our reports page to include a new kind of report. Now you can go to the REPORTS page and select the Performance report to view your company’s cash flow over a specified date range. If you are using Invoiceberry to send invoices and keep track of multiple currencies you can also select in which currency you want to create the report. You will see the invoices your company has billed for, the money which your company received and the expenses you’ve entered. This will calculate your company’s cash flow for you. Everything is presented in a clean table on a monthly basis. 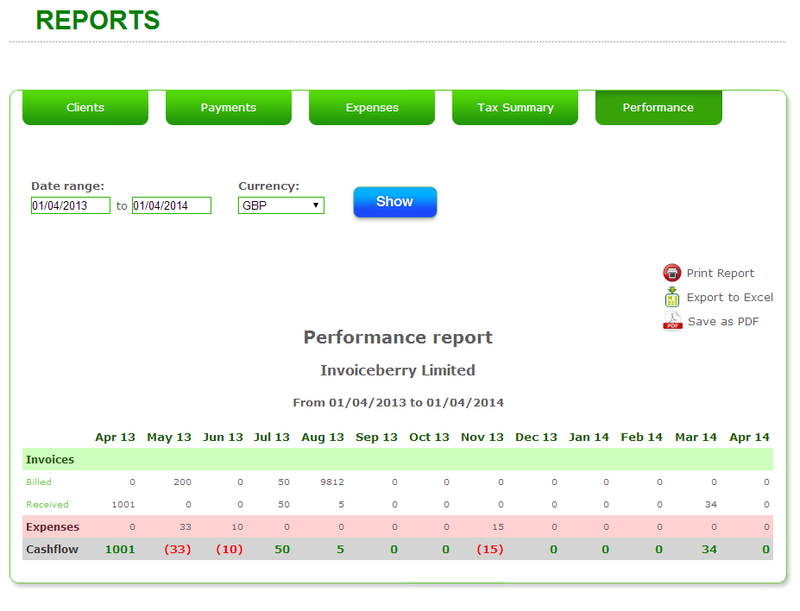 You can also print the report or export the performance report to Excel or PDF.